A shuttle launch shot from a plane. Please forgive the crude headline. Our focus as a people is on the wrong things. We pay too much attention to things that tickle us emotionally while bankers toss a trillion here and a trillion there like someone scattering fertilizer. Maybe that’s what the paper money is going to end up being worth. Maybe that’s what we should do instead of burning the bills when they’ve become too tattered and messed over to stay in circulation. Really, the birther issue is like a zombie horse that won’t lay back down and now there is talk of the President’s adoption papers from his time in Indonesia. Those are the “adopters” and since they showed up on the newsy scene after the birthers I’m calling them AFTERBIRTHERS…the zombie horse’s arse that also won’t lay back down. 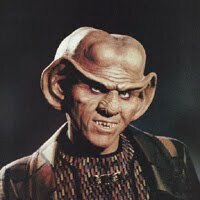 If the Ferengi took a good look at our financial world and the way that business is intertwined with government, they’d say we don’t have the “lobes” for business. This would refer to brains, not ears. I’m past tired of hearing from the birthers and the adopters. While the news has us tossing off to fantasies of bringing down a president the economy is still moving in a clock-wise direction towards the septic system. The Federal Reserve will end its program of buying $600 billion in Treasury bonds in June as originally planned, the Fed’s policy committee said Wednesday after a two-day meeting. The thing is more complicated than my headline. For decades, every dollar printed is borrowed from the Federal Reserve at interest. That is a large portion of the National Debt. In addition the government has borrowed money through the issuance of Treasury Bills, Treasury Notes and Treasury Bonds. Individuals and institutions have been able to purchase and trade these and the government (read Tax Payers) has been liable for the payment of principal and interest on these debt securities. Other nations, most importantly China, buy the securities as well. Recently the Federal Reserve has been buying the bonds, creating a sort of double whammy since we’re still paying interest on the paper money in circulation. This is going to make it harder for the system to stay afloat as the dollar will lose value after these purchases stop in June. It needs to crash. And when it does we need to develop a new system independent of the World Bank and IMF and the Federal Reserve. From deadline.com Arnold is back in Terminator. w00t!!!! There was a story I read once where the gods lamented that the people no longer believed in them. I wonder if in two or three hundred years if the last of the deadbeat celebrities will lament that the people no longer fawn over them.